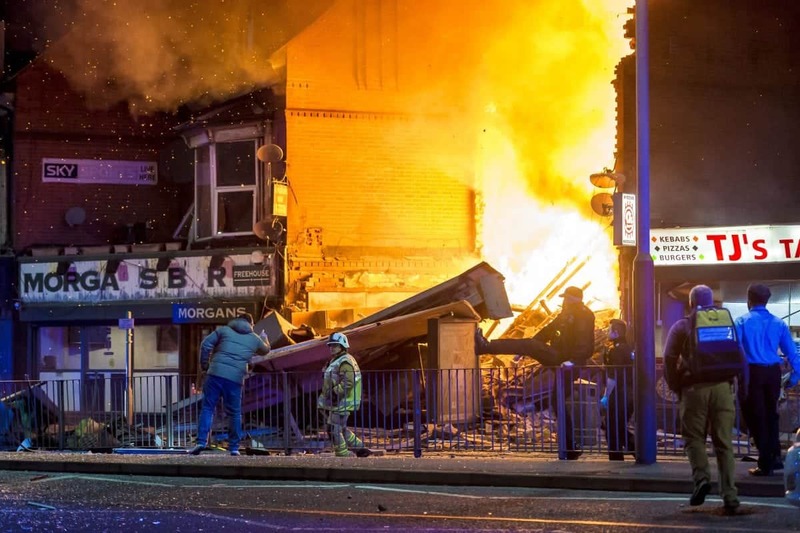 Police have declared a “major incident” after four people were killed after a building exploded in Leicester. It is feared that more people could be trapped in the rubble. Specialist fire crews are looking for survivors using specially trained dogs. Emergency crews rushed to the scene after the blast at about 7pm last night. East Midlands Ambulance Service confirmed six people in total have been taken to hospital. They tweeted: “Final #Leicester incident update tonight. Six people in total taken to @Leic_hospital by EMAS. Thanks to @OFFICIALWMAS and @YorksAmbulance for their support responding to other 999 calls near border whilst we dealt with this tragic incident. #Team999”. Leicester’s Hospitals tweeted: “University Hospitals of Leicester NHS Trust can now confirm that six people were taken by @EMASNHSTrust to Leicester Royal Infirmary from the scene. The building is in a terrace of shops, to the left of TJs, near Hinckley Road post office. The cause of the blast is presently unknown, but the building appears to have been reduced to blazing rubble. Debris from the building have been blasted across both carriageways of Hinckley Road. The road is closed and houses nearby have been evacuated. Daniel Maynard tweeted: “It was Londis”. Twiter user applepearmamabear added: “The whole building is gone. “It was a horrendous blast. “There’s a bus stop directly outside the store, I desperately hope no one was there. Mark Robins wrote: “Jesus, huge explosion Hinckley road area about 10 minutes ago. Can see the flames and endless sirens going off”. Mrs Rawk said: “Huge fire on Hinckley Road, there was a huge explosion. Fire engines are trying put it out now. #leicester”. 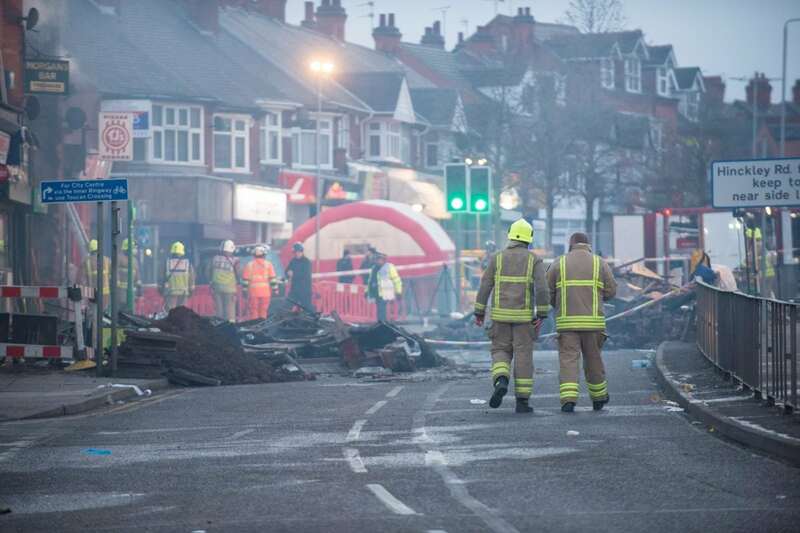 Another added: “Explosion on or near Hinckley Road in Leicester. Whole house shook, loud bang, lots of smoke. Avoid the area – lots of sirens and no doubt they’re closing it off”. At around 7.20pm Leicestershire Police tweeted: “Major Incident. “There has been a major incident on Hinckley Road, Leicester. “All emergency services are currently dealing with this. “Carlisle Street and part of Hinckley Road have been closed. Leicestershire Fire Service confirmed they have been called to a building collapse. There are eight fire crews at the scene, and a command support unit and a welfare unit.